We spend a lot of time around the dining table. I say “dining table” with tongue in cheek because we use it for much more than just dining. It is a meeting space for our family. It’s where we eat, yes, but it is also a space where we talk over disagreements, play with Giselle, discuss plans for upcoming vacations, and our career trajectories. The table is nothing more than just a plank with at least three points of support. In fact, a table need not be more than just a plank made of any material to set food or any number of things. That’s exactly what it was for much of human history. To this day, more than a quarter of the world’s population does not use an actual dining table. Instead, food and drink is served on the ground, perched atop a piece of cloth or a basic structure weaved of plant shoots. I’m no historian, but the earliest use of a dining table appears to be just before the Middle Ages. Its use spread quickly during the medieval period. It was a prominent feature in royal courts, used to entertain other crowns. Much more modest versions occupied homes of the poor. When seated around a table, we immediately choose to face one another. Inevitably, we share a space with others at the table. A connection, no matter how nascent, is formed. When I think of a table, the first image my mind conjures is that of Van Gogh’s The Potato Eaters. In it, we see a dimly-lit cottage with five figures seated around a simple, wooden table. Their dinner is the cheapest starch, frequently consumed by Europe’s perennially impoverished farmers. Coffee has just been served. One figure’s face is out of sight, perhaps to let the viewer embody one of the tenants. When seated around a table, we immediately choose to face one another. Inevitably, we share a space with others at the table. A connection, no matter how nascent, is formed. 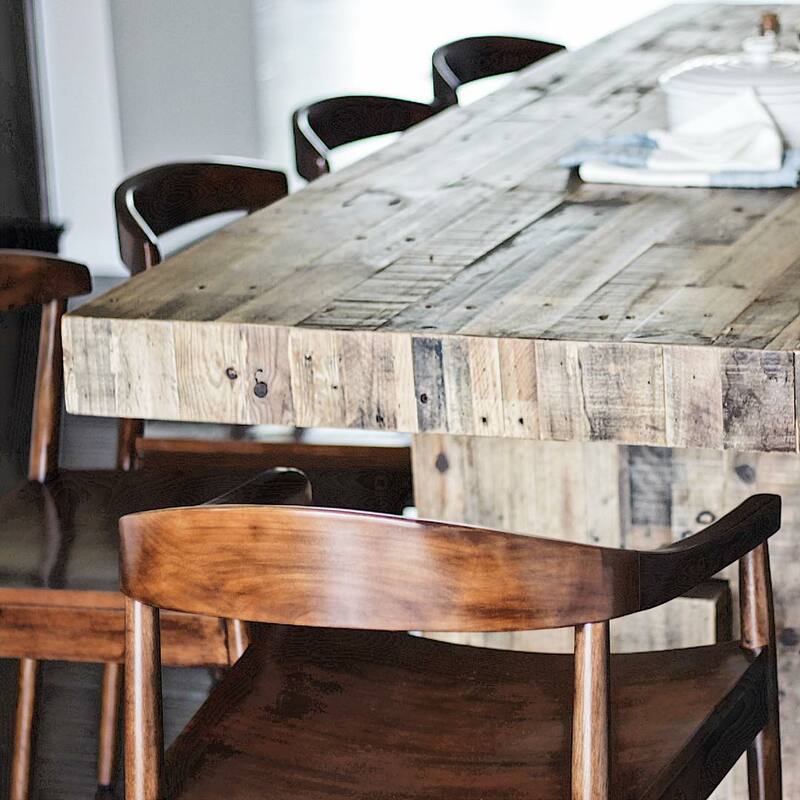 The communal table is back in vogue at many restaurants, old and new. The fact that these communal tables often fail to forge meaningful connection is more a reflection of aloof metropolitan cultures rather than a shortcoming of this form of public space. In a public space...sharing a table with a complete stranger can be a source of indifference, excitement, or anxiety. In our homes, we communicate something important without words when we welcome people at our tables. In a public space – a library or a coffee shop – sharing a table with a complete stranger can be a source of indifference, excitement, or anxiety. In our homes, we communicate something important without words when we welcome people at our tables. We share conversation, laughter, food, personal stories, and moments of silence. Whatever it is, we share something and that’s the important part, especially in societies where one’s own and another’s private space is highly regarded. Whether in restaurants, parks, or our homes, a table is a reflection of who and how we are, even if for a moment. How we behave at a table says a lot about our preferences, personalities, and upbringing. Perhaps it is what isn’t said and isn’t done at the table that reveals more about us than anything else. The table is both a physical thing and a symbol, fixed in place but timeless in its meaning.